Ines Pohl, born 1967 in Mutlangen, Germany, became chief editor of taz – „die tageszeitung“ – in July 2009. Before working as a political correspondent in Berlin for the mediagroup Ippen, she was the head of the political department of the German daily Hessische /Niedersächsische Allgemeine. In 2004/2005 she was a one year fellow at Nieman Foundation for Journalism, based at the University of Harvard. She holds a Magister in Skandinavistik and Germanistik from the University of Göttingen, where she also worked after her studies as women’s representative for all gender concerns. Her way into journalism, she found thru working as a freelancer for Radio ffn and various local newspapers. In december 2009 she received the media award „Newcomer of the year“ from the jury of Germany’s Medium-Magazin. Since 2010 Ines Pohl is a board member of the non-government-organisation (NGO) „Reporter ohne Grenzen“ (Reporters sans frontières). 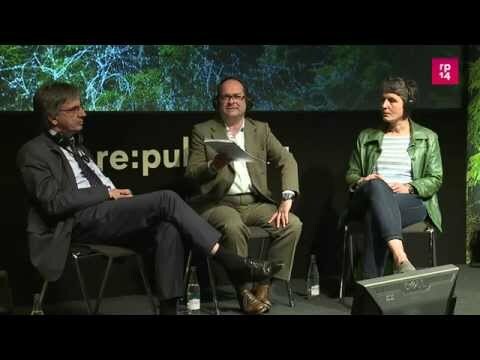 re:publica 2015 - Funktioniert Community-finanzierter Journalismus in Deutschland?